← Q: Would you share your artist’s statement for the “Bolivianos” series? Posted on January 24, 2018, in An Artist's Life, Art in general, Inspiration, Pearls from Artists, Quotes and tagged "Journal of a Solitude: The intimate diary of a year in the life of a creative woman", "The Magical Other", balanced, do anything, help people, magnanimous, May Sarton, modest, patient, sandpaper, soft pastel, the arts, to work. Bookmark the permalink. 3 Comments. Barbara, I love your painting “The Magical Others”. It’s most extraordinary and imaginative! Thanks very much, Renee. That one is 25 years old and is part of my earliest work in the “Domestic Threats” series. 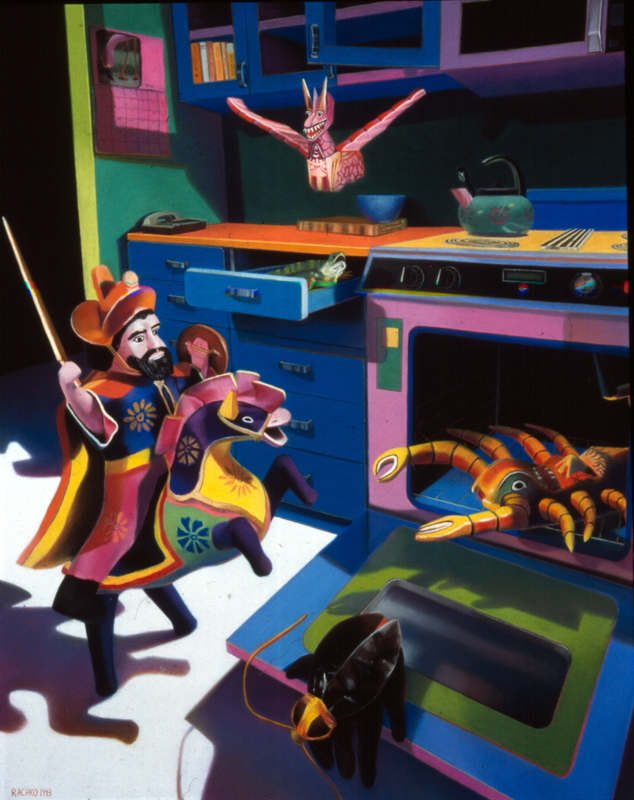 See the entire series at http://barbararachko.art/en/paintings/the-domestic-threats. It’s amazing, to see it now in the context of that powerful series. I’m going to send you an email about writing an article about the series on The Healing Power of ART blog.